09/14/2015 by Sally Ember, Ed.D. Thanks to Doris-Maria Heilmann of Savvy Book Writers for her Free Checklist for “Passive” Book Marketing, I now have (and am sharing) a great list and resources within it. Link below. Doris-Maria Heilmann provides a step-by-step sequence for putting a book on Bowkerlink right here. Do it and whatever else you have neglected to do to market your book from her great list. Luckily, I am not new to marketing, so as I ramp up for the release of my third ebook, Volume III, This Is/Is Not the Way I Want Things to Change of The Spanners Series (sci-fi/romance, adults/YA/NA), which goes into pre-orders @ half-price on 11/1/15, $1.99 through 12/7/15, then becomes $3.99 on release day, 12/8/15, with a cover reveal on 10/26/15 on http://www.aleshaescobar.com), I am pleased to discover that I have already accomplished (but need to update) most of what’s on the above list. Volume I, This Changes Everything, became permafree when I released Volume II, This Changes My Family and My Life Forever, in the spring of 2014, which is also $3.99. 07/14/2015 by Sally Ember, Ed.D. What is You’re Not Alone? 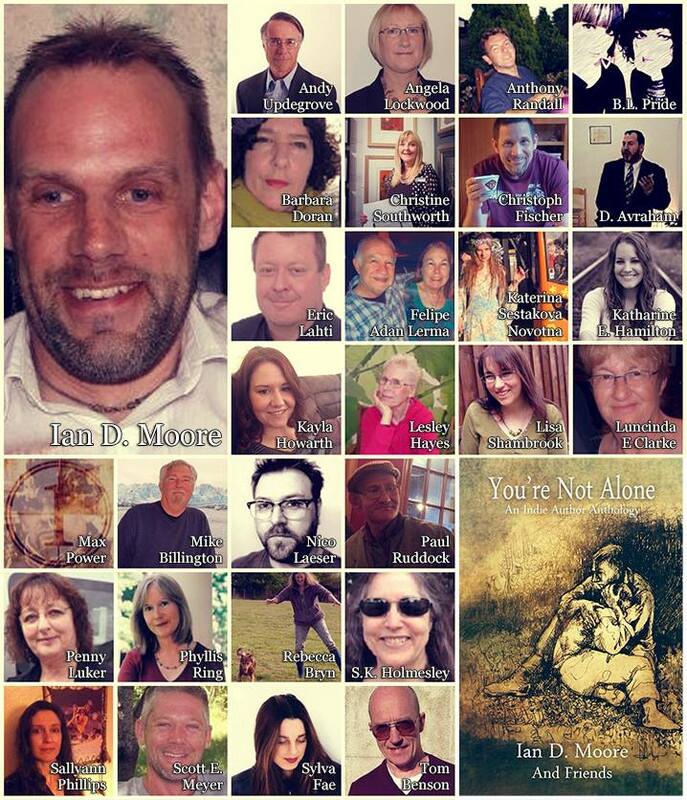 “An international group of #indie #authors, inspired by the personal grief of one, decided to collaborate in the spring of 2015 in a project to create this multi-genre smorgasbord of original short stories, all with the same potent theme – relationships. Some are heartfelt, some funny, some poignant, and some are just a little bit scary – much like relationships themselves. 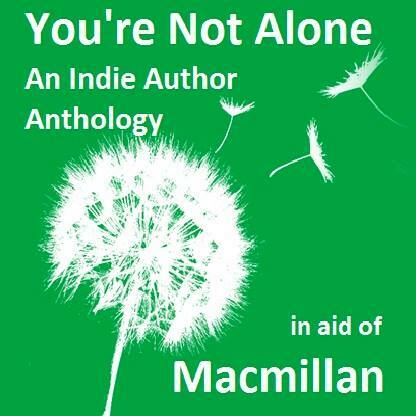 All are by authors fired by the shared enthusiasm to give something back in aid of Macmillan #Cancer Support. Cancer touches us all. It has in some way affected those who have contributed their time and talent here. This is our way of showing that we care. 100% of the royalties earned or accrued in the purchase of this book, in all formats, will go to the Pamela Winton Tribute Fund, which is in aid of Macmillan Cancer Support. The above links will take readers to the Amazon store in their country of registration from anywhere in the world. Below, you will find a list of their individual answers and links to their books or websites, to help you discover more about them and their other works. The Shepherd King Chronicles: Foundation Stone (Beith David Publishing, 2010). 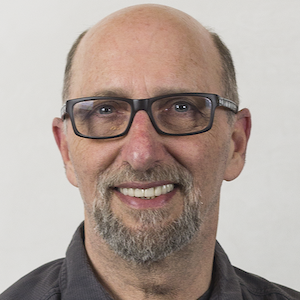 Off-Wire (Lulu 2014), and the author/illustrator of the children’s book, Squared (beith David Publishing 2013). Max Power: Maynooth, Republic of Ireland. 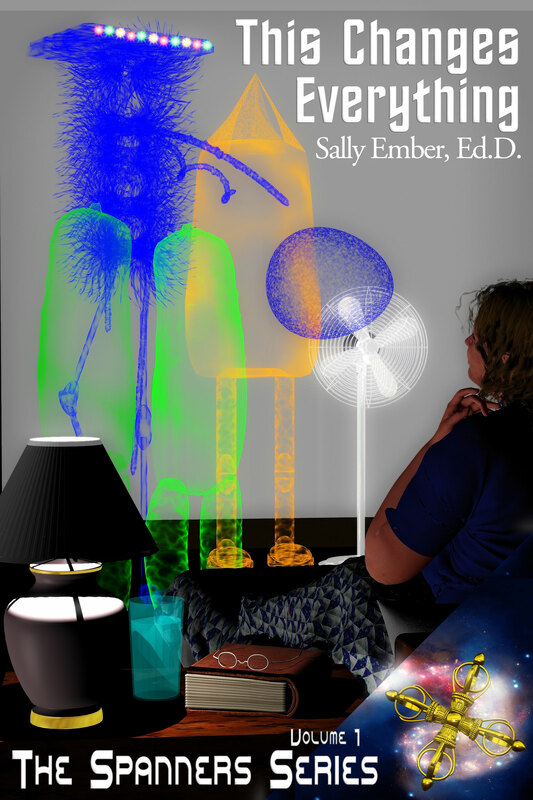 Look who’s featured on 7/6/15 as part of Indie Authors’ Month: Sally Ember, Ed.D.! 07/06/2015 by Sally Ember, Ed.D. 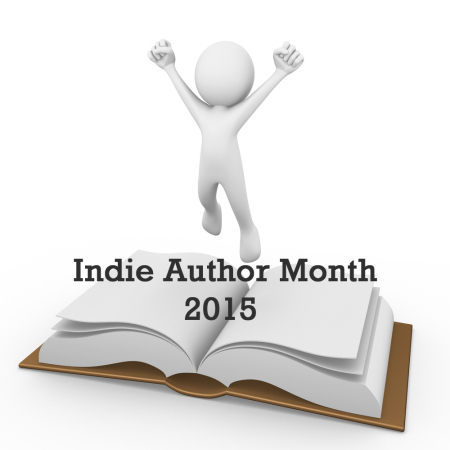 Visit every day this month and honor Indie Authors! Thanks, Mel Cusick-Jones and Tony Talbot, for organizing and promoting this event and including me! So, welcome to the first day of our Indie Author Month – now in its fourth year, we’re excited to be hosting more fantastic indie authors during the event, which will run throughout July. This year specifically, we have opened up the event to authors of every genre – variety is the spice of life! The only thing we’ve asked from each of them is to tell us about their experiences as an indie writer…from their personal writing journey, to the things they’ve learned about self-publishing, you’ll find it all here this month. We hope you’ll keep coming back each day through the event, to meet the authors and chat with them about their writing. Download and purchase Indie Authors’ books! Write #comments on our #blogs! Post #bookreviews and ratings of our books on sale sites, especially Amazon, and on Goodreads, Booklikes, Shelfari, Library Thing, nook, Kobo and iBooks! All links for FREE downloads and purchase of ebooks in The Spanners Series as well as places to post comments and reviews: http://www.sallyember.com Look right; scroll down. 04/18/2015 by Sally Ember, Ed.D. This is Letter Four of Four of my “open letter to my earlier self” series that first appeared on The Book Cove Reviews, http://www.thebookcove.com/2014/12/author-sally-ember-edd-letter-to-my_15.html, late November – December, 2014. Letter One appeared on my site, http://www.sallyember.com/blog , on 3/26/15. Letter One posted on 3/26/15; Letter Two appeared on 4/4/15 and Letter Three on 4/11/15. I published my first ebook in December, 2013, and my second in June, 2014. I intend to publish my third in April, 2015. What I wish I had known before my first ebook went into pre-sales in November, 2013, about Virtual Book Tours and Blog Hops and other kinds of “shared” PR continues to grow. I write these Open Letters in order to share my wisdom “backwards” to my earlier self from today’s vantage point. Now that you know you are going to be an indie published author, and you know you’re going to start with only ebooks and then see what happens, your choices about book marketing are more limited than if you were going to have both print and ebooks available or if a major or even minor publisher were backing your books. Mostly, your entire author platform and writing life are going to exist almost exclusively online. That all means no book signings (you have no books to sign). It also means that you will have few or not any public readings, at least, not yet, since those usually go with book signings. You won’t be paying for much publicity since you have almost no budget for it, so forget print ads, posters, or other signage in the “real” world. Your PR is going to all be virtual. What does this new type of non-in-person, non-print PR include besides your blog? You will have online “stores,” places that sell your books online, where the cover, blurb and reviews live. You can post your photo and bio there (on some, anyway). You should have author pages and book pages on vendor sites. What else? 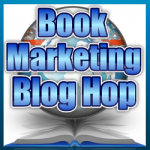 Blog Hops and Virtual Book Tours. 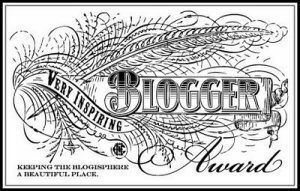 Well, no wonder you have no idea what a “Blog Hop” or “Virtual Book Tour” is: You just barely started to blog last August, 2013, and barely know what blogging is. You have recently published your first fiction book while is also your first ebook. It’s hard to be more of a newbie than you are! When someone invites you to “join” a Blog Hop or be part of a Virtual Book Tour, you don’t know what you’re saying “Yes” or “No” to, do you? How could you? First of all, go visit/go on a Blog Hop or Virtual Book Tour at least once, each. Be a visitor to one or more that have some of the same organizer(s), authors and/or books as the Blog Hop or Virtual Book Tour you’re considering as a participant. Take notes: what do you like/not like? What is confusing/clear? How appealing are the promos, widgets, banners, graphics? Since you are also a reader, consider: would YOU be more or newly interested in these authors/these books because of this Blog Hop or Virtual Book Tour? If the answer is “NO,” stop there. 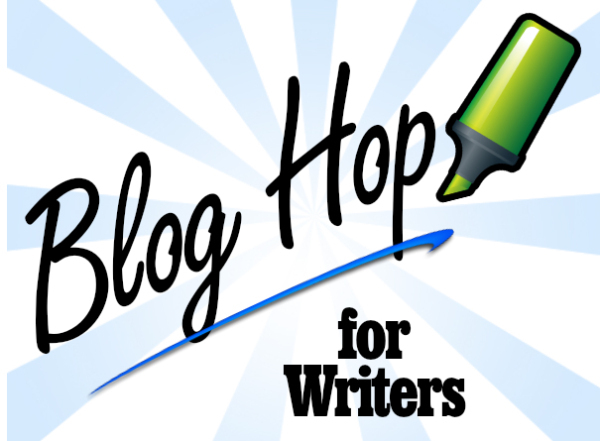 You might want to join a Blog Hop or Virtual Book Tour, but not THIS one. Visit some more until you can say “Yes” to these questions, above. Now that you know what you like, it’s time to get more educated. There are hundreds of (free or fee-based) webinars, Google+ Hangouts On Air (HOAs), teleseminars, podcasts, blog posts, and, don’t forget: BOOKS and EBOOKS devoted to explaining everything about creating or joining a Blog Hop or Virtual Book Tour and all aspects of book marketing. I won’t even try to recap it all here. Nonfiction can or should be marketed differently than fiction, short fiction differently than long. Target audience for and chosen genre/subgenre of your writing change the PR scene as well. Poetry and memoirs are in their own niches. Etc. Attend, read, watch. Take more notes. What are the requirements? Are they easy, moderately easy or arduous to fulfill? If you have to create or acquire a lot of new graphics, redesign or add to your website, write new blurbs or text to fit their guidelines, is it worthwhile? Answer the other questions, below, to determine that. What’s in it for you? 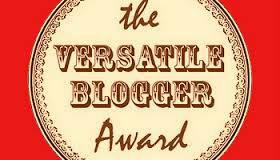 Are you allowed to promote/feature your own books, your blog, or just others’ books and blogs? How much of your precious writing time will be given over to this endeavor? How long does it go on? Does that timeframe work with your schedule (i.e., for visiting others’ sites, cross-promoting, posting widgets/modifying your own site, commenting, etc.)? Can you be ready to submit everything by the deadlines and post on your day as scheduled? How much does it cost to join, e.g., do you have to provide a “Raffle” prize, a “giveaway,” or any other “swag,” discount coupons, gift cards, or what? Is that affordable? What amount of traffic is likely to be driven to your site from these other sites, i.e., how many followers do they have, what are their ALEXA scores? Are the other Blog Hop or Virtual Book Tour participants in the same or similar or at least compatible genres/subgenres with yours? Are the other blogs/sites/books/authors’ brands compatible with yours (NSFW [Not Safe For Work] vs. SFW [Safe For Work], for example)? Is this organized by a paid promoter or someone else with experience organizing a Blog Hop or Virtual Book Tour so that there is at least one person who will handle the responsibilities of corralling, collecting, scheduling, managing this event professionally and well? How many other participants’ sites are being visited on the same day as yours? Do that number and variety seem likely to be competitive, supportive, confusing, appropriate? What possible benefits will there be and how likely are they to accrue to YOU? Having answered all these questions, is this Blog Hop or Virtual Book Tour a worthwhile endeavor? Bottom line, Sally, is that your writing time MUST be a priority, but you also have to put in time to create relationships in order to find readers, get more visible, be part of an online community with important and meaningful connections, and, oh, yeah, MARKET your books. Be cautious, be discerning, be wise. I hope you are finding this series of Open Letters helpful to your decision-making and planning for your first and subsequent book launches and ongoing marketing and promotions. I might add to this series as I get even more experienced; we’ll see. Meanwhile, don’t forget to ENJOY the ride! 04/04/2015 by Sally Ember, Ed.D. This is Letter Two of Four of my “open letter to my earlier self” series that first appeared on The Book Cove, http://www.thebookcove.com/2014/12/author-sally-ember-edd-open-letter-to.html, late November – December, 2014. Letter One appeared on my site, http://www.sallyember.com/blog, on 3/26/15. Letters Three and Four post on April 11 and 18, 2015. I published my first ebook in December, 2013, and my second in June, 2014. My third just published last month, March, 2015. What I wish I had known before my first ebook went into pre-sales in November, 2013, about book reviews and reviewers could probably fill a book all by itself. I will try to make my life lessons more pithy, here. You undoubtedly feel all excited about your first science-fiction/romance ebook’s publication, as you should. You are eager to read the first reviews, wondering how readers will respond, right? Part of your preparation has been to read reviews and write reviews yourself on Goodreads. You have mostly been reading books you get from the library from rather well-known authors and writing reviews of those. Alternatively, you have been reading a few works-in-progress by new and indie authors on http://www.Authonomy.com and http://www.Wattpad.com and leaving comments. Some authors have been commenting on your excerpts, also. Several authors and bloggers are volunteering to review your first ebook and you are searching sites for other possible reviewers. You have been lucky: several have agreed, so you are able to put some of their choice reviewers’ comments into the final epub version’s front matter of your first Volume of The Spanners Series, This Changes Everything, prior to its actual release! You are feeling great! 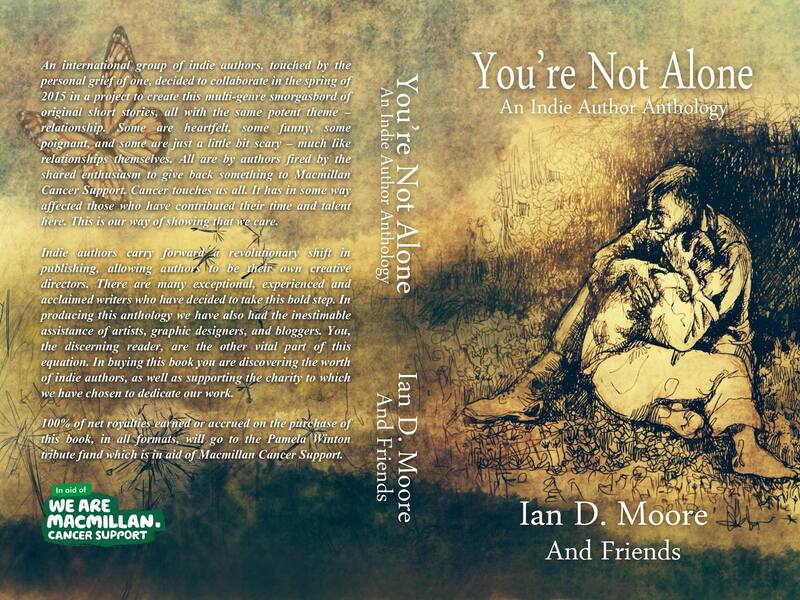 Many of the reviewers are quite positive, giving the book 5 and 4 stars. 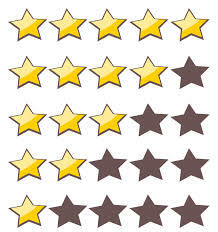 Even the 3-star reviews have positive comments amidst the critiques and offer valuable points of view. You are psyched! Then, the DNF (Did Not Finish) “reviews” start to appear, with 1- or 2-star ratings even though they didn’t read even half (and in some cases, even one-quarter) of your 323-pg book. Now come the lessons. Reviews and Reviewers Lesson No. 1: Do not expect all reviewers actually to read your book or to behave like professional reviewers. What? How do non-readers get to call themselves “reviewers”? 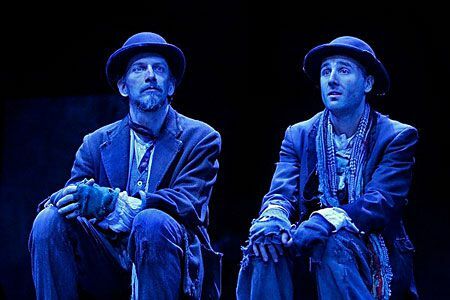 People who only watch a few minutes of a movie or TV show or walk out at intermission for a live performance aren’t entitled to submit a full review much less a rating. Why are these readers doing this? What gives them any right to even comment, much less evaluate your book with so little experience of it? Reviewers are supposed to READ the book, first, aren’t they? HA HA HA HA HA! You wish! It’s all right. Calm down. Blog about DNFs and move on. Enjoy their snarky comments(some of the are quite witty and even funny), post them right along with the other reviewers’ insightful remarks. What do you care? It’s not as if their DNF opinions matter: they did not read your book! Ignore. Reviews and Reviewers Lesson No. 2: Not all readers will comment; not all downloads lead to readers. 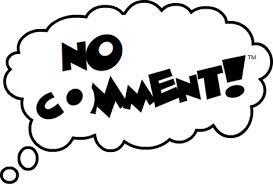 Do not expect all readers to leave comments or reviews. Reviews and Reviewers Lesson No. 3: Reviewers are all volunteers (or mostly) and often do not have the ability to meet stated deadlines. Reviews and Reviewers Lesson No. 4: Reviewers will not always respond to requests. 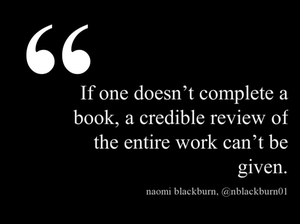 Do not be surprised when requests for reviews are ignored even when you follow all the reviewers’ guidelines and fill out their forms, even when your book falls within their genre specifications and meets their criteria perfectly, not even when they claim they will respond to all requests. Reviews and Reviewers Lesson No. 5: Be open to a “swap” or don’t join the clubs. do not be surprised when some reviewers/authors refuse to review your book at all (and some are quite snarky about it). “I do not review or rate my own or another author’s books in any way that misleads or deceives the reader. I am transparent about my relationships with other authors when reviewing their books. Reviews and Reviewers Lesson No. 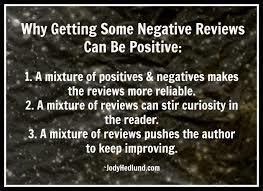 6: Most reviews and authors’ groups do not accept “negative” reviews. Some even have agreements up front that they will not post or give any books lower than a 3-Stars ranking. They consider a 3 (out of 5) to be a “terrible” rating. When you are involved with some authors’ groups which require “review swaps” as part of “belonging” to their “club” (which I heartily recommend AGAINST joining for precisely that reason and more besides) and you read the book you have chosen or been assigned and discover that it is a book you have to give a 2-star rating to (and that is being generous, in your opinion), do not be surprised when the club leaders seem supportive but it turns out that they are not. Be prepared for the author to tell you that s/he is “too thin-skinned” to talk to you about your responses prior to your posting the review. You do wonder, however, how anyone can publish books, put their writing out in public, expect all their readers to react positively every time and make no emotional preparations for the eventuality of rejection or negative feedback from readers. Reviews and Reviewers Lesson No. 7: Even the readers who chose to review your book may not like your genre or understand your book, yet will blame you for their lack of enjoyment and comprehension. Why, you wonder, would a reader who already knows she doesn’t like science-fiction choose to read, much less claim to want to review, a science-fiction book? There are ALIENS on the cover. There is no mistaking the genre of this book! What is the deal? The components of Buddhism and Judaism figure prominently in your books and you make that clear in blurbs and your bio. So, why would a born-again Christian, a devout Muslim or Catholic or any other religious-leaning person who has problems accepting Buddhism or Judaism in fictional characters and plots (or in real life, actually) choose YOUR books to review? What were they imagining would happen? We authors can’t please everyone, nor should we even try. Write your best book, Sally. Appreciate ALL reviews, even the DNFs. Keep going. By the time you get to Volume III or IV, this “newbie indie author” phase will seem as if it happened in another lifetime. Meanwhile, support other indie authors. Write and leave reviews, rankings, comments and LIKES. 01/30/2015 by Sally Ember, Ed.D. What is the value of social networks in easing the loneliness of the solo writer? How do online groups/communities provide opportunities for sharing ideas? How do today’s writers, especially for those newly published or about to seek options in publication, benefit from building communities of virtual friends? There are now thousands of online groups/communities a writer can join. Some are only available via membership in existing social media sites, such as Goodreads, Facebook, LinkedIn or Google+. Others are stand-alone groups that have their own websites and memberships but may also host a page on any of the other social media sites to attract and inform potential members and continue to post info to members regularly. Then, there are the groups, chat rooms or fora one can join, lurk on and/or contribute to on Yahoo, KindleBoards, Smashwords, Bublish, Authonomy, Jukepop Serial, Wattpad, and probably hundreds more, Add to that specific professional sites’ groups, such as Romance Writers of America, Science Fiction Writers of America, Mystery Writers of America, etc., plus international groups and marketing sites and it makes one’s head spin. If you are a blogger as well as a fiction writer, if you are a new and/or indie pub author or just one of millions who has no outside PR firm hired to market your books, you NEED groups/communities to get your “brand” known, find readers, attract followers and fans, get “pingbacks,” improve your ALEXA rating, your KLOUT or SNAP scores, get a Google Page Ranking for your website…. How does a busy writer wade through all these opportunities to decide where to plant one’s online presence “flag” and still have time to write? The discerning writer who actually wants to protect your time and keep writing while marketing effectively can use these 10 criteria to choose your online memberships. 1. PAY or stick with FREE memberships? Some groups are free; some start out free or have a free level but change into/have paid memberships that provide additional services or opportunities to those who pay. If you have an unlimited budget or find yourself drawn to one or more of these groups and can afford it, go ahead and become a paid (upper-level) member. Some of these groups’ upper levels really do offer services to authors that are useful; some just say they do but when you read carefully, the “services” are not much more than occasional tweets. Beware of those that over-promise, do not deliver, or are vague about what paid membership avails members of before paying. Research them: search for the group’s hashtag or tweet handle and then privately message someone [not the leader] about specific ways that being a paid member benefits him/her. So far, the most I have paid to “belong” to any group or purchase any “marketing” service was $15 and it wasn’t worthwhile. If you do join a group and pay your fees or dues, make sure you’re getting what you pay for and only renew if it’s worth it: no automatic renewals! 2. Participate in “review swaps”? As a newbie desperate for reviews for seemingly invisible books, I found these groups to be so tempting. They seemed so supportive. They offer REVIEWS, sometimes in great quantity, sometimes with rankings and votes as well. But, free or not, these review “exchanges” come with several “prices,” and I personally decided the prices were too high. For one, I am not comfortable providing pre-arranged and necessarily positive reviews (usually these swaps require/request a review rating of 4 or higher) for books I haven’t yet read in order to get the same for my own books (which the “reviewers” may or may not fully read). I “got into trouble” for daring to critique the books I read for being under-edited, overwritten, poorly constructed, badly plotted, shallow, etc. Second, and much more chilling: if you join these groups and participate, you run the risk of having any or all of your reviews summarily removed from Amazon for not being inauthentic (some rightly so). Third, some social media sites (Goodreads, for one) monitors members’ activities and sends messages to those members it believes are abusing the site, such as by “buying” or “trading” votes on Listopia, for example, or providing “fake” 5-star reviews to numerous members’ books. If you even get accused and especially when caught, you will discover that most sites’ TOS say they can suspend your account permanently and remove your books’ reviews, rankings, votes, etc., often with no warning and no recourse. Although I joined some of these groups initially, I found out all of this later. Then, I removed myself within a few months of joining. I never paid to join. If you are comfortable with the risks and conditions, go right ahead and participate. 3. Participate in Blog Hops and other “required” activities? Some of these are great and worth doing. Others, not so much. Look around, visit a few, comment, see what happens. THEN, decide. 4. Join a “Tweet” team or use group hashtags when posting? This is highly recommended by some, disregarded by many. When someone posts nothing on Twitter but lists of others’ handles and the group’s hashtag, NO ONE CARES. Don’t do that. But, if your group actually retweets, comments, replies, shares, ENGAGES with each others’ tweets or posts, that is worthwhile and those groups are worth joining. 5. Become a regular responder/poster or stay in the “shadows” (read/lurk but don’t comment, “LIKE,” +1 or post)? I highly recommend lurking/reading many days’ or months’ worth of posts for some “Boards,” Communities or Groups before posting yourself. Get the “culture” of the group: the tone, the topics, the length, the repartee, the purposes. See if these resonate with you and your “brand” or style. If yes, go right ahead and join in the conversation. If not, move on. Do not join a group to argue, criticize, lambast or attack. Remember: the internet is “forever”: if you get into a “flame war,” readers/fans and publishers (and employers) can find it years later. Perhaps use a pseudonym for controversial posts. 6. Become a “help offered,” “help requested” or both type of participant? You can become a resource to others on many sites (Quora, Ask an Expert, Reddit, etc.) or request help yourself. Respect, assistance and expertise are admired. 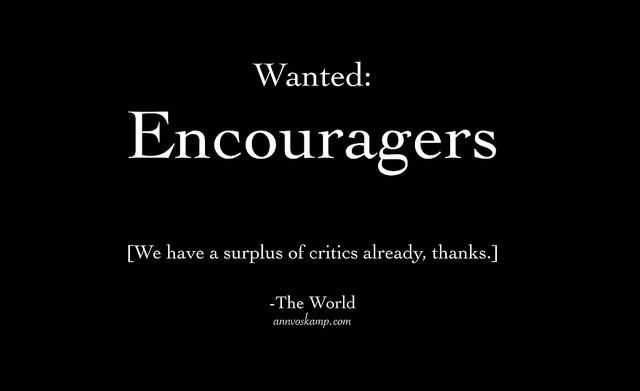 Whining, complaining, false information or bragging: not. 7. Join as yourself, your brand/books/website, your pseudonym? 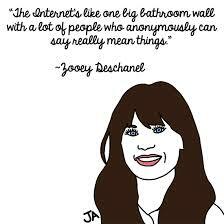 EVERYTHING you post becomes part of your brand unless you use pseudonyms. The intentional and judicious use of pseudonyms is recommended, particularly if you write in vastly different genres (children’s books and erotica) or want to comment on controversial topics but not affect your brand. If you become a “content curator,” offering information, help, creative/fun posts, and these are consistent (or at least not contradictory) with your brand, go for it! Join groups and comment/post frequently as yourself. Get to know/be known by the members, become a fan /follower of theirs. I belong to several groups whose members and I are becoming virtual friends. We support each other’s efforts. These are the groups worth joining and continuing to be active in and are valuable even when you have little time. If you comment here with one of yours, I’ll share some of mine! 8. Join any genre-specific or topic-specific groups? If you are a “genre” writer, then, YES: join one or more of these groups. I belong to sci-fi, romance, paranormal, ebooks, indie pub, fantasy, “clean” indie, female-oriented, YA, speculative fiction, blogger, author, writer, marketing, science, tech, G+ HOA help and many other groups that I interact with, enjoy and learn from weekly. Be sure to read and follow each group’s posting guidelines carefully to avoid getting disliked, kicked out or otherwise censored. 9. Offer any giveaways, have contests, provide guest spots yourself? If you have print books or swag, go right ahead and offer it/them. I highly recommend that you think of what you have to offer and start offering (e.g., free PDFs of writing tips, samples of your writing, free passes, discount coupons) whenever you can. I am also a series ebooks novelist, so I offer the first book in The Spanners Series, This Changes Everything, as “permafree,” which is highly recommended for newbies to do, once we have subsequent books for sale. When you are doing many other types of writing and interacting regularly with several online groups/communities, you can occasionally plug your own books! Like, NOW! 10. Enter any contests or pay for reviews or marketing? When a group’s entire purpose is to further its own ends and fill its coffers with entry fees, service charges, etc., these make me suspicious. But, I am naturally cynical. I decided early on not to pay to enter any writing contests, not to pay for reviews, not to pay for “members’ services” and mostly not to pay for marketing. These are my decisions and not everyone agrees with them. Some individuals offer a combination of free and for sale services/marketing, so you can decide which you want to participate in/join. I have met several great people and had excellent experiences in some groups in this way: I participated in their free activities and then did not continue when the next steps required payment since I couldn’t afford or did not need those services at that point. I do give these “helpers” regular “shout-outs” and thank them publicly for all they do/have done, actions which I hope make up for my lack of financial support to them. The professionals left me alone when I asked them to do so. The ones who wouldn’t stop emailing and kept on when I asked them to stop or when I told them I wasn’t buying got relegated to spam and ignored. You have to decide for yourself. However, if you are considering paying for any of these, please research the contest, reviewers, PR person, etc., thoroughly. It’s bad enough not to win or not to get what you paid for; it’s worse when you’ve paid a lot. BEWARE! If/when you find groups worth joining, please comment about them here. 01/22/2015 by Sally Ember, Ed.D. I received an Advance Review Copy (ARC) of The Self-Publisher’s Ultimate Resource Guide and promised to write and post an honest review here on my own blog and on at lesat one other ebook site (see links, below) in exchange. PERSONAL NOTE: This Guide already received some excellent endorsements from “heavy-hitters” in the Indie-Publishing industry, several of whom happen to be my unofficial mentors: Mark Coker of Smashwords, Joanna Penn of The Creative Penn, and Joan Stewart, The Publicity Hound, to name a few. I’m daring to add to and not to agree with these experts’ opinions, here. If I were you, I’d also go read theirs! And, please: I’m trying to be constructive, so I give a lot of recommendations and make many pleas. It’s not just a pan. I wanted to like this book. I wanted to give it 5 stars. I cannot. The best thing I can say about this is that the editors promise that they want it to be improved and added to quarterly or annually. I am NOT trying to be snarky or mean. I genuinely went in with high hopes and expectations, given all the hype and positive endorsements this Guide has had. These hopes were dashed in the first few chapters and it did not get better as I went along. I hope they will take my critique and others’ feedback to make the Guide better, not just longer. Why isn’t this an actual GUIDE? Why is the Guide almost entirely just a lot of somewhat organized lists? Instead of directing, informing, and assisting new indie authors with each selected aspect (and I do like the aspects, or chapters, they decided to include), there is a lot of information not given. This info is either missing, such as the reasons a writer would need to use a section or how to use the information provided, or withheld, such as the providing of a rating system or users’ experiences for each resource—annotations, as in YELP or Angie’s List—for each entry. If we wanted to acquire a list of resources, we could do that from many other places. The editors say these have been vetted, but where is the evidence of that? What did they assess? Why don’t they include their assessments, or a summary of why each listing is “better” than those not included, and for what, exactly? I was very disappointed in the editors’ lack of interaction with each listing provided. They seem to have merely collected a lot of self-written descriptions or blurbs about each entry (meaning, written by each resource provider, not the editors or users) and put the selected listings in alphabetical order. Since they say they vetted each entry and rejected some, why aren’t we reading more about WHY they included each entry? If I had paid for this “GUIDE,” I’d want a refund. This book was poorly written and edited. However, the authors’ long, impressive bios (see below) list extensive experiences in editing and proofreading. They also exhort the need for both in this Guide . However, even though I wasn’t looking for or expecting to find mistakes, find them I did. There were numerous mistakes in grammar, punctuation and syntax as well as inexcusably sloppy and poor writing in almost every one of their brief intros/summaries for each section/chapter. Finding so many problems was surprising and very disappointing. 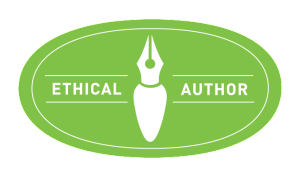 The editors mention more than once a warning to readers to “read the fine print” if they choose to enter into contracts, but nowhere do they provide any tips or hints about exactly what to watch out for, what to avoid, what to accept. Why? Their advice is so vague as to be trite and useless; without specifics, they’re not helping anyone. Why not a chapter on “Don’ts” or “Beware of…”? [It’s as if they started to write a guide and then, halfway through, made it a listing service instead. It makes me wonder if there was some money exchanging hands, ensuring certain listings and keeping out others. Why did they not include a chapter on authors’ support networking? 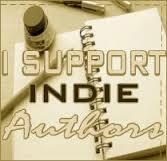 There are so many indie authors’ forums, Kindle Boards, authors’ groups, etc. If they take my advice and add that chapter, I hope they make notations as to which resources/ groups/ providers are fee-based and which are free, and what the fee ranges are, if applicable, and what the fees avail members of, specifically. Fee information is crucial but missing from every chapter. Also, I hope they weed out the “review swap” groups, since these violate Amazon’s Terms of Service, and I hope they would EXPLAIN the TOS violation consequences (removal of reviews, for example) in their new chapter. I’m scratching my head over this. If the editors explained their rationale, I might be on board. However, again, no explanations are given. There is a chapter devoted to Book Reviews with no mention of the extremely important and controversial issue of paid vs. free reviews, and no annotations as to which of those listed charges authors for providing reviews nor how much they charge. These omissions are significant oversights. Must correct in future revisions, please. There are several chapters that are devoted to formatting one’s book—ebooks vs. print vs. Print On Demand vs. “Short Run” [sic]—with no explanation as to the differences among these formats or which to do first and the reasons. Also, what about the issue of whether or not even to have a print version: why? when? at what cost? Many of us do not have any print versions: what are the consequences of going ebook-only for each genre? Furthermore, when introducing each type of formatting, there is no explanation about the reasons/ bases for ebooks’ formatting issues or the assistance offered, via Smashwords vs. Amazon, for example, or about difficulties of passing through Smashwords‘ “meatgrinder” successfully and what that success generates in benefits; no mention is made of that nor that Digital2Digital does not use such gate-keeping, for example. If this is truly going to serve as a guide, MORE ANNOTATIONS and information are needed. What is a Short Run [sic]? I have never heard of it (since I have no print books, yet) and it was not sufficiently explained (nor hyphenated?). Why include it if not also to explain more completely what it is? Several key “players” were omitted, which I know can be corrected, but since some of them provided endorsements or reviews, I’m baffled by their absences. Many of those missing are very prominent in the blogosphere, Google+ or Twitter but not so much on Facebook. What about those who shine on Pinterest, Instagram, or Tsu? Maybe these editors not as active on the other social media platforms? 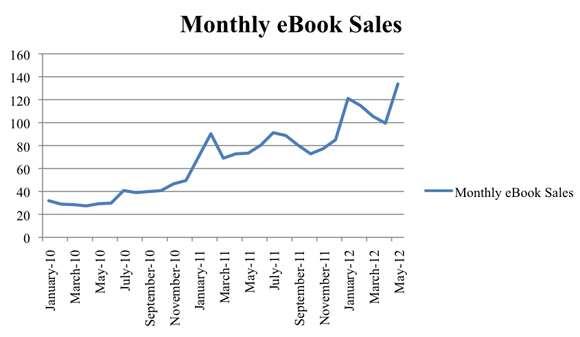 The Book Marketing Tools and its free ebooks listing tool, e.g., were not included. In order to be an actual GUIDE and not just a list, part of this chapter should include annotations giving pros and cons of authors’ activity on each platform and who the leaders are on each. Social media platforms are the not the only places authors need to “go” or be “seen.” Start with: Blog Talk Radio shows that feature authors and books, like Indie Books with Will Wilson, The Backporch Writer with Kori Miller, and so many more; Google+ LIVE and taped Hangouts on Air, such as my show, CHANGES, which then go to Youtube; D’vorah Lansky’s and others’ teleseminars and webinars devoted to books, book marketing and authors; The Authors Show, A Book and a Chat and many others on their own “channels”; podcasts and other shows, such as The Author Hangout, with Shawn Manaher and R.J. Adams, via iTunes and other sources, and so many more. Please request and create a chapter with annotated listings of opportunities of this type and how to access them. There was no mention of Amazon’s Kindle Unlimited and the controversies/problems indie authors face regarding this, nor was a distinction made between Kindle Select and Kindle Direct. These are exactly the types of explanations missing from this book that need to be put in, please. Why was there such a small number of “Social Media Consultants” included? I could come up with more than that, yet I am not one myself nor have I used one. The editors need to do better outreach, here, and a LOT of annotating, since many who call themselves “experts” are NOT; I know vetting is something these editors say they have been doing, so let’s see the results. There needs to be more info about money. For example, if the chapter on contests and awards is going to be useful as more then an incomplete list, each entry needs to be annotated to include info on entry fees and deadlines as well as more about the actual value of winning or placing in each. These contests can take a lot of time: show us what’s required, specifically, to enter, please, and what we might gain from winning. Great to include a chapter on acquiring funding, too, but that also seemed a bit “light.” There are many more opportunities out there, but at least there were several clearinghouses, like C. Hope Clark’s Funds for Writers, listed. Such lacks make this book more of a jumping-off point than a guide, though. I also don’t understand why those who provide services in more than one area (as delineated by these editors) are not dually or triply listed, as often ought to be the case. Readers/users will find resources only in the chapters they go to skim and may not read other chapters at all. 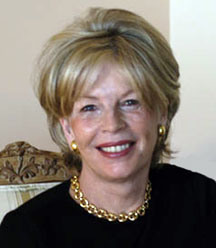 For example, Judith Briles is listed for her private site, but Author U is not listed at all, anywhere I could find. I know it would make the Guide longer, but there must be a way to show readers that a listing appears elsewhere in the book, or could appear elsewhere (and in what chapters) but editors decided to list each resource only once for space reasons, right? I do not think Book Promoters are the same as book PR people, but perhaps I’m alone in this. In any case, I think having the word “Promoters” missing from the chapter headings is confusing. If/when most or all of these omissions, errors and improvements are managed, I’d love to see that version. Or, maybe they should change the title from “Ultimate Resource Guide” to “Resource Compendium” or “Resource Listings.” They’d have fewer changes to make if they did that. I wouldn’t think that would be as useful, though, as my revised version could be. I hope SOMEONE makes that version! Meanwhile, although I believe The Self-Publisher’s Ultimate Resource Guide may be worthwhile as a starting point, it is far from being the “Ultimate Resource Guide” at this point. Any newbie to self-publishing would have to pick up many other and better guides to make this one useful. The Self-Publisher’s Ultimate Resource Guide is a living document. Although we have tried to gather the most valuable resources for indie authors, it’s inevitable that some have been missed, and new products and services are constantly being introduced. We want your help to make it even better. If you know of a person, company, product, or service of value to independent authors that’s not included in this guide, please let us know. You can send submissions to be included in the next edition of The Self-Publisher’s Ultimate Resource Guide by the contact form below. Thank you. 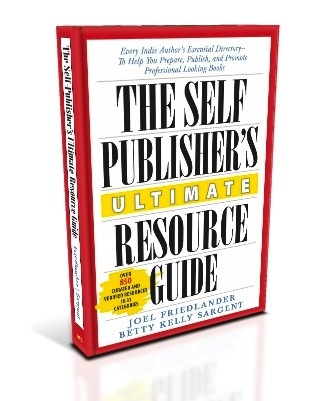 Essential Qualification Guidelines for those who wish to be listed in The Self-Publisher’s Ultimate Resource Guide. Extensive, professional experience in serving the self-publishing community. A current, informative, interactive website. Complete contact information; location (city, state/province, country), phone number, email address, and contact person if applicable. Outstanding reputation; positive client/customer testimonials and/or reviews. The final decision on all listings is at the editors’ discretion. Note: Personal connection or recommendation of resource/business, is meant for anyone who is recommending someone else’s business. Say you are an author and use an editor not listed in the book. You can put that into the submission as your connection (I am an author who uses these services) and recommendation (what you think of the services you receive). It would not apply to someone who is asking for their own company to be included. Copyright © 2015 Marin Bookworks, All rights reserved.